Avalon Yurts are sturdy, spacious and beautiful. If you hire a yurt it will be set up on the Wednesday before the festival, ready for your arrival on Thursday. An unfurnished Basic yurt has a base carpet and door mat. You need to bring your own beds and bedding. 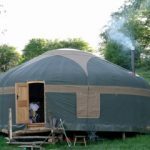 This yurt sleeps 4-8 people and is a simple and cost effective way to enjoy the solidity of a traditional dwelling at a low cost. An unfurnished Basic yurt costs £270. An unfurnished Plus yurt has a base carpet, door mat, led light string, wood burner and 1 basket of wood. You need to bring your own beds and bedding. 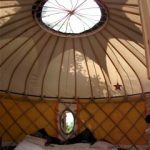 This yurt sleeps 4-8 people and is great if you want a simple yet cosy option. An unfurnished Plus yurt costs £325. A furnished Basic yurt has a double and two single beds, rugs, table and lights. This yurt sleeps 4 people. 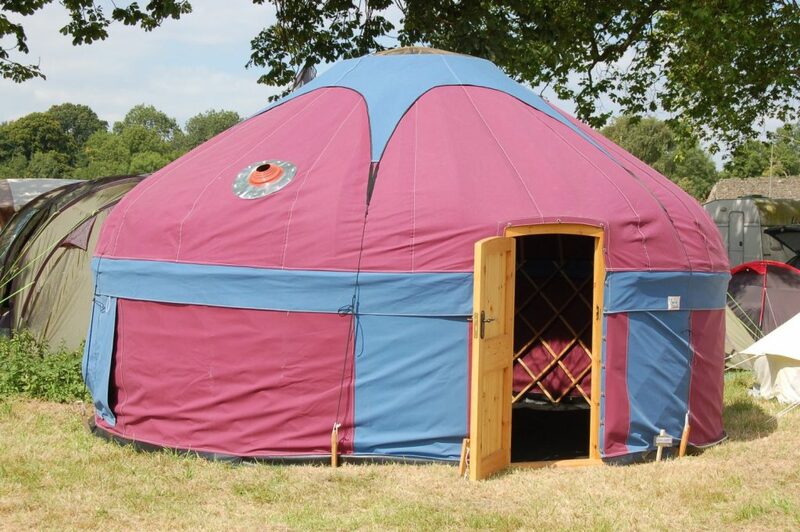 A furnished Basic yurt costs £575. A furnished Plus yurt has a double and two single beds, rugs, table, lights, wood burner and wood. 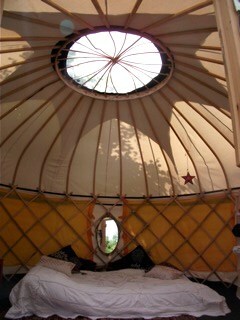 This yurt sleeps 4 people. 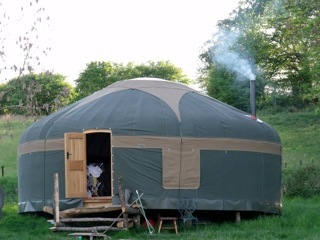 A furnished Plus yurt costs £630. All yurts are 16′ in diameter and have a locking door. 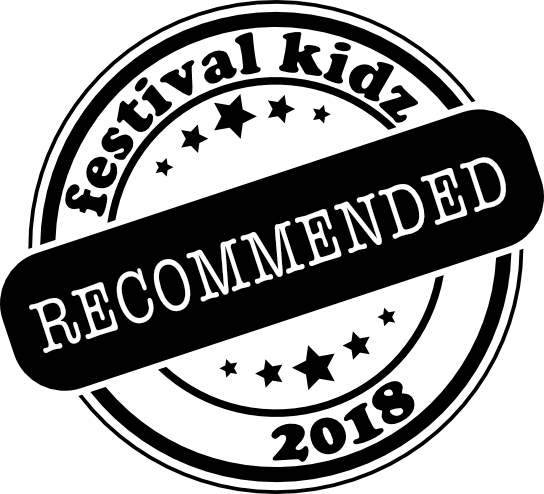 Your yurt will be sited within walking distance of all festival venues, in an area set aside for traditional dwellings such as tipis and yurts. 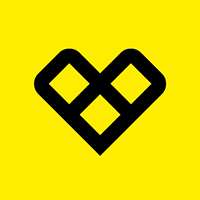 If you have a need to be elsewhere on site – for example assisted camping, crew or artist camping – this can be arranged if the area co-ordinator agrees. Please let Avalon Yurts know at the time of booking. Please note: entrance to the event is not included in hire cost. 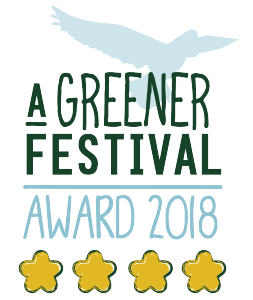 The festival is commissioned by, and raises funds for, the Green Gathering charity (no. 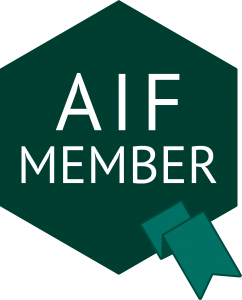 1156593), which promotes sustainability via hands-on education and the arts. PHOTO CREDITS: Thanks to Stefan Handy, Keef Gibson, Ayesha Jones, Ben Cavanna, Brian Darcy, Zoltan, Johnny Solstice & Cathryn, Mike Urban, AimeeVPhotography, Garry Holden, Mark Pickthall, Greeny Lens, mistereb.com & all who've shared their pics.